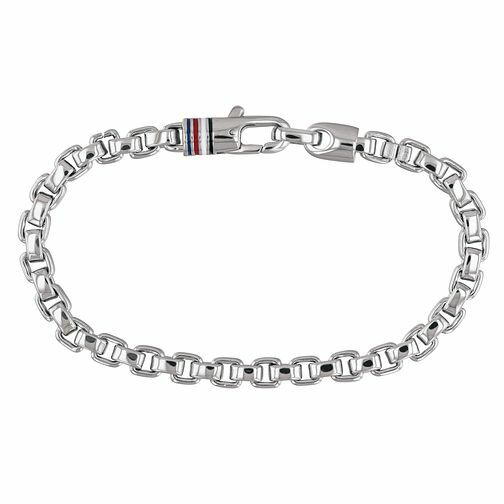 This classic men’s box chain bracelet by Tommy Hilfiger is created with polished stainless steel. The signature Tommy flag is featured in enamel upon the closure for the lobster clasp. This bracelet measures 21cm in length.